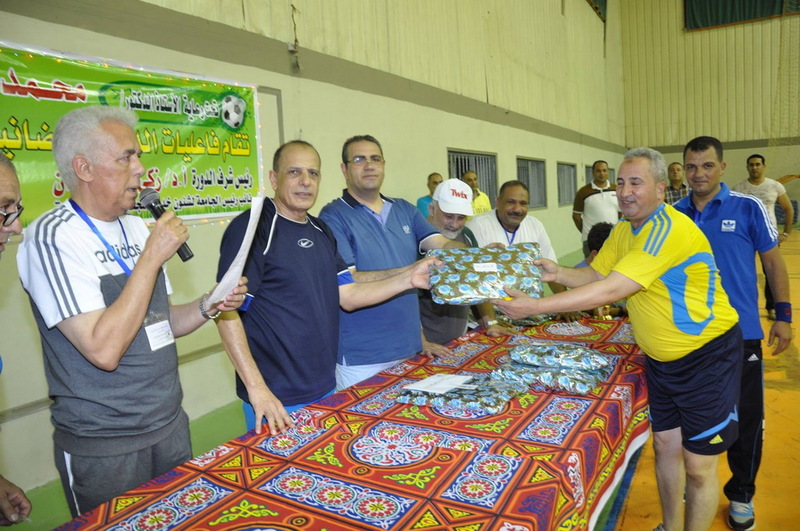 place during the Holy month of Ramadan at the covered hall in the Olympic Village. 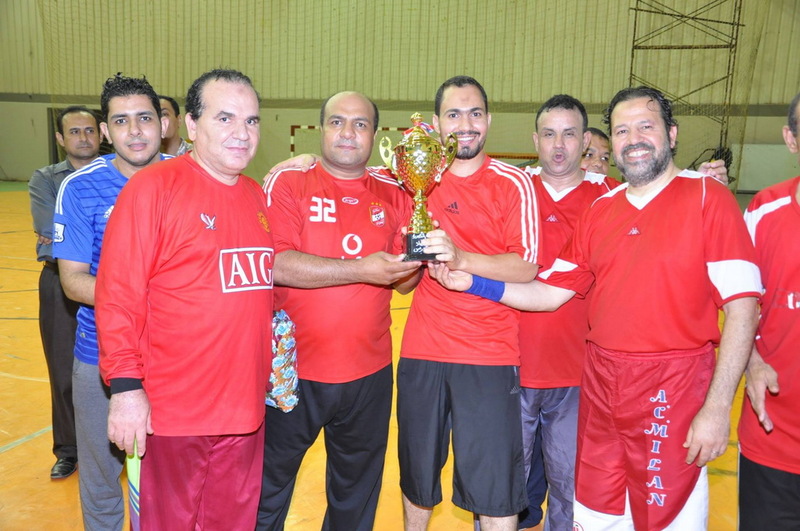 The team of the Faculty of Engineering has beaten the unified team of the Faculty of Education and the Faculty of Specific Education by scoring three goals (Seniors’ Tournament). 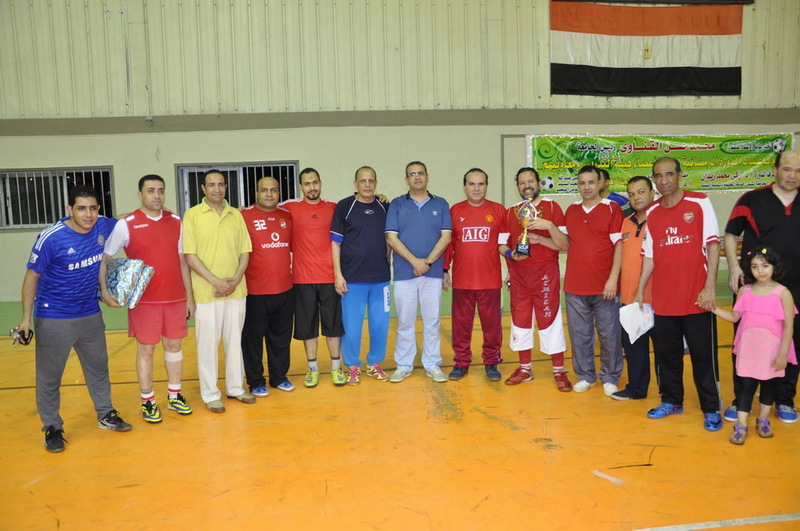 The team of the Faculty of Sports Education has beaten the team of the Faculty of Engineering in the additional phase of penalty kicks 6 to 5 (Juniors’ Tournament). 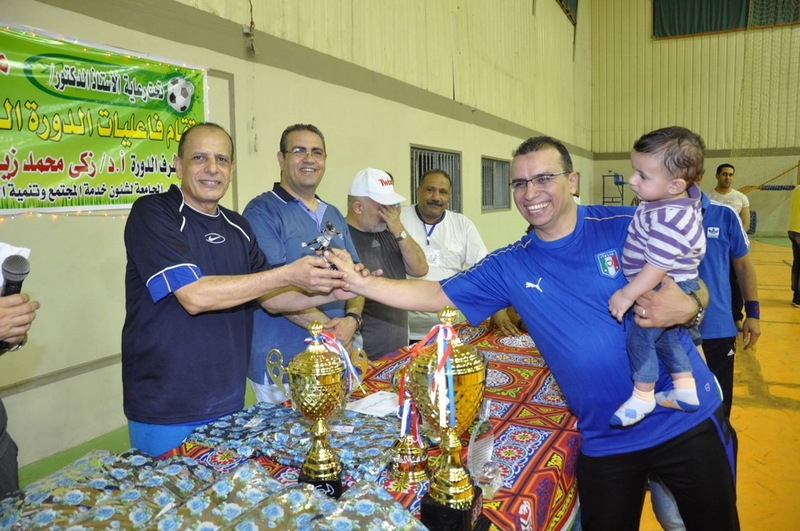 A side-match between the team of the University President and the team of the staff members ended with the winning of the former 3 to 1. 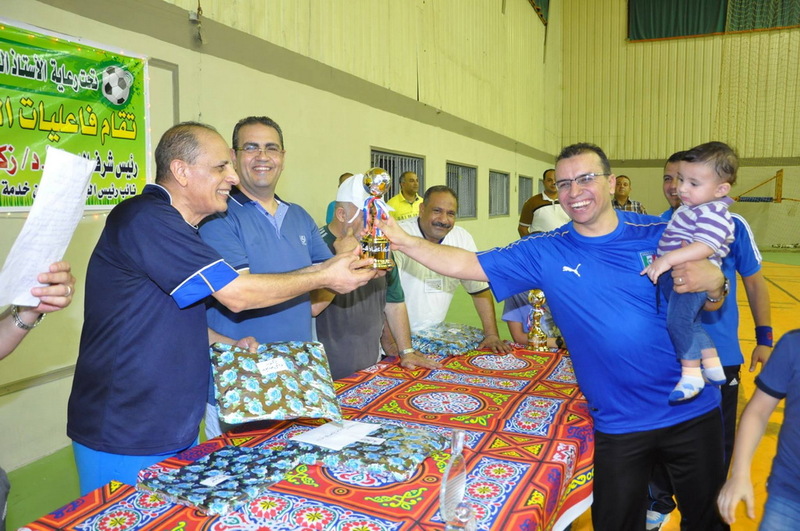 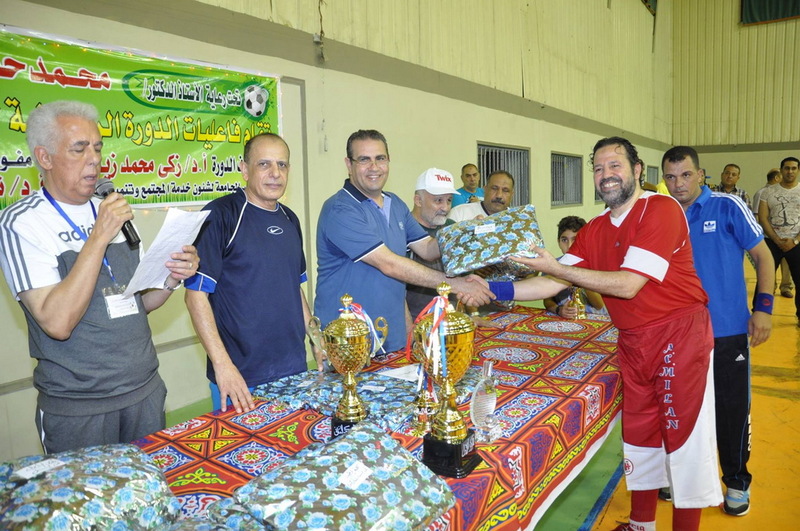 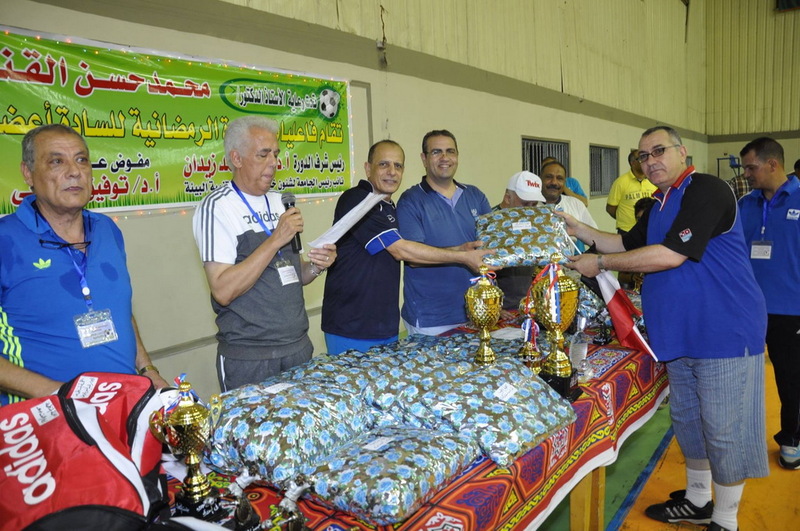 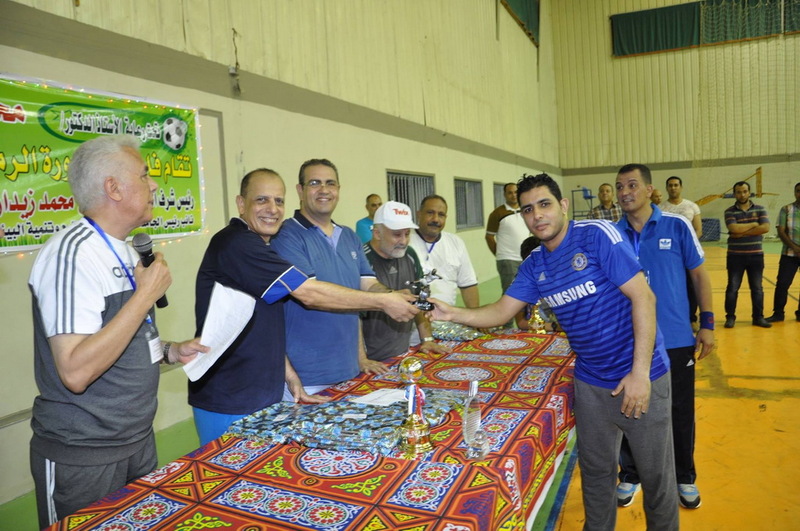 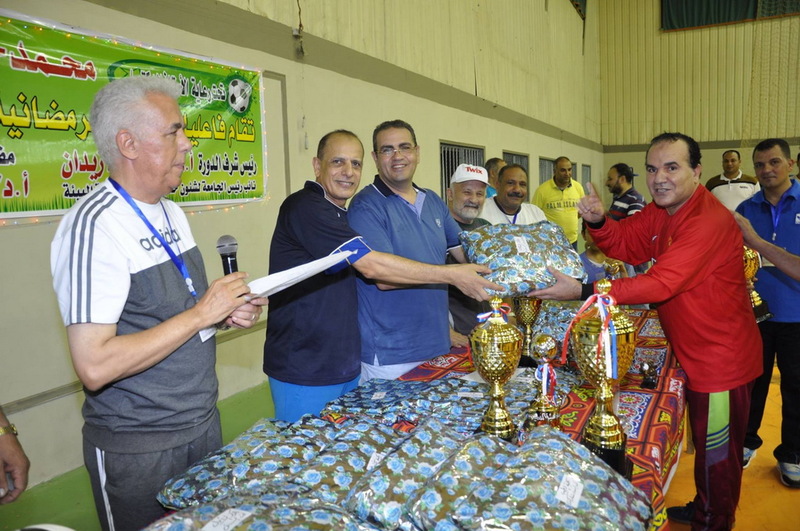 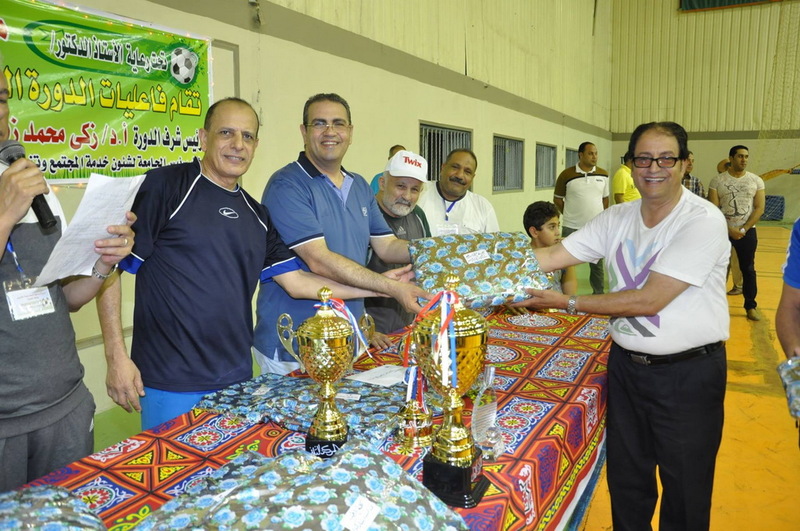 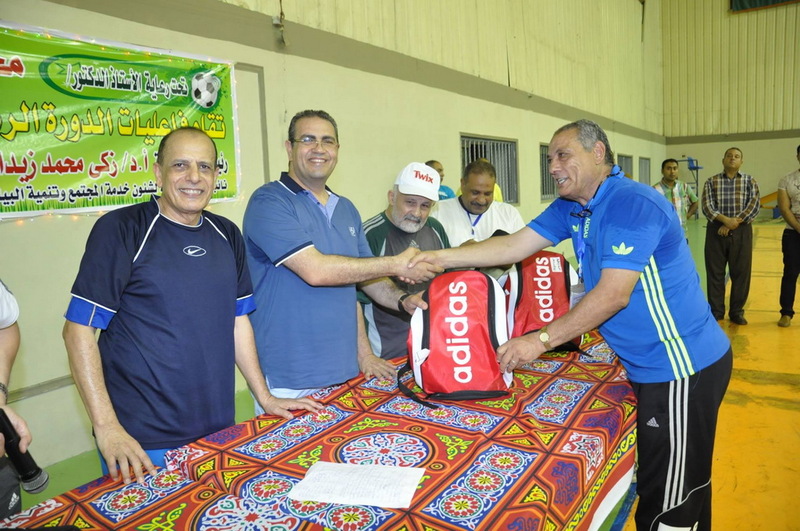 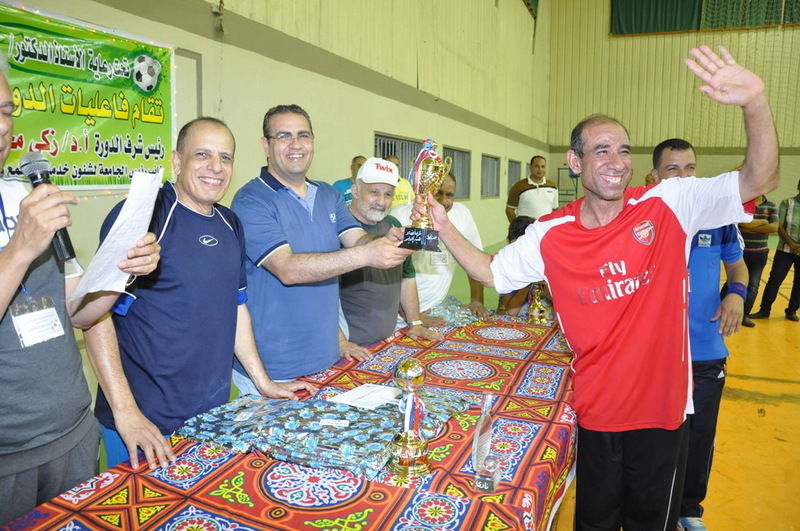 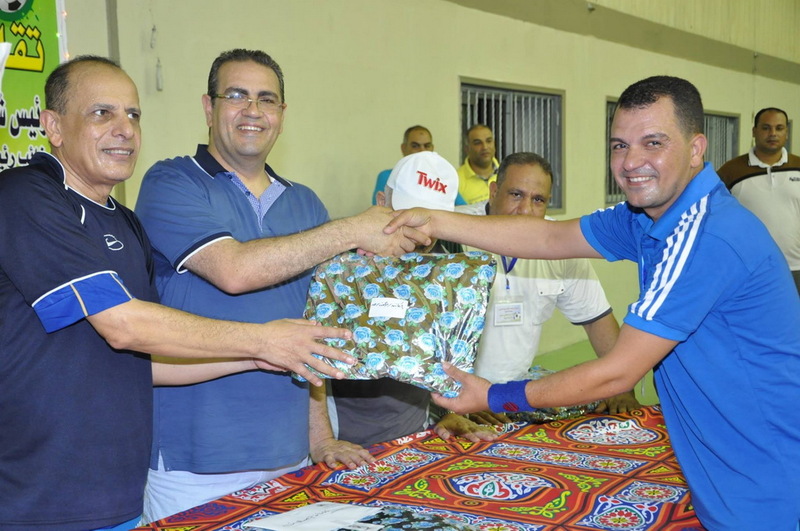 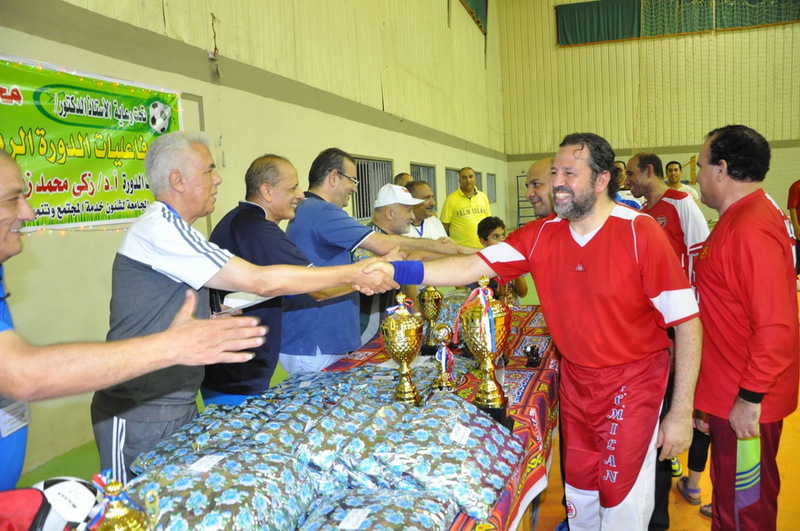 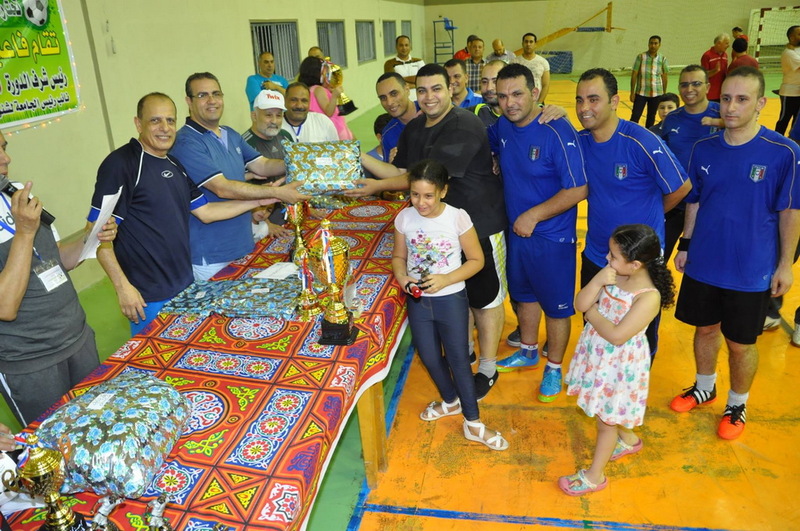 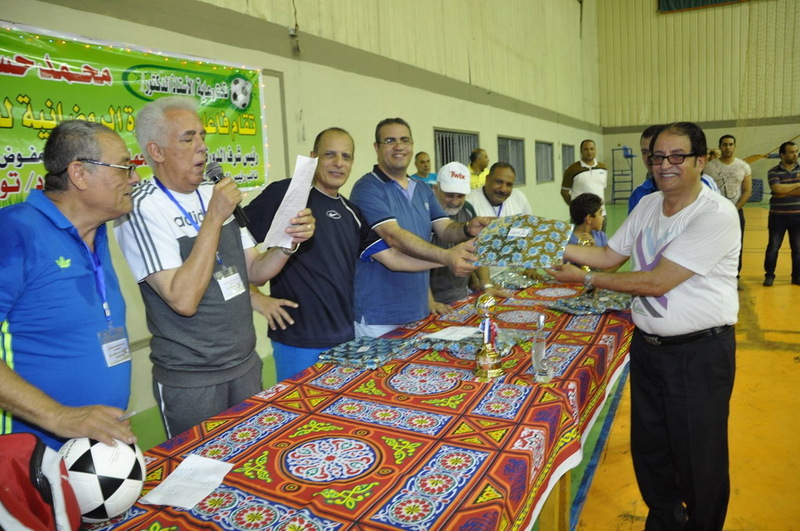 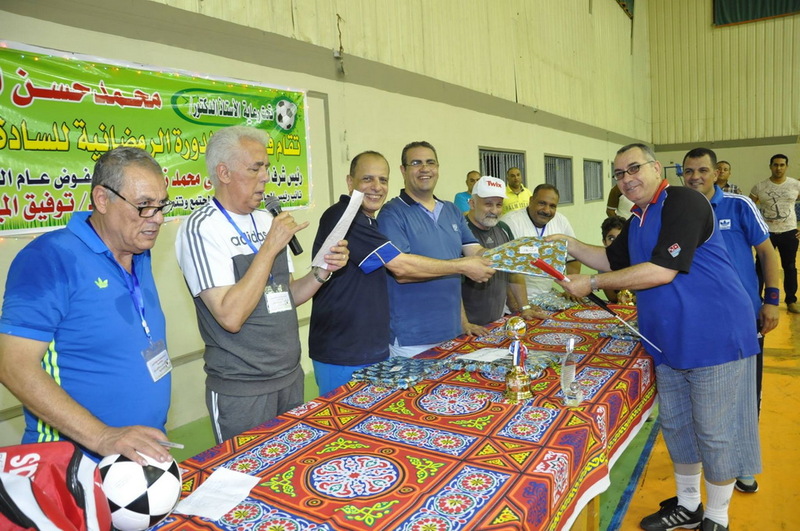 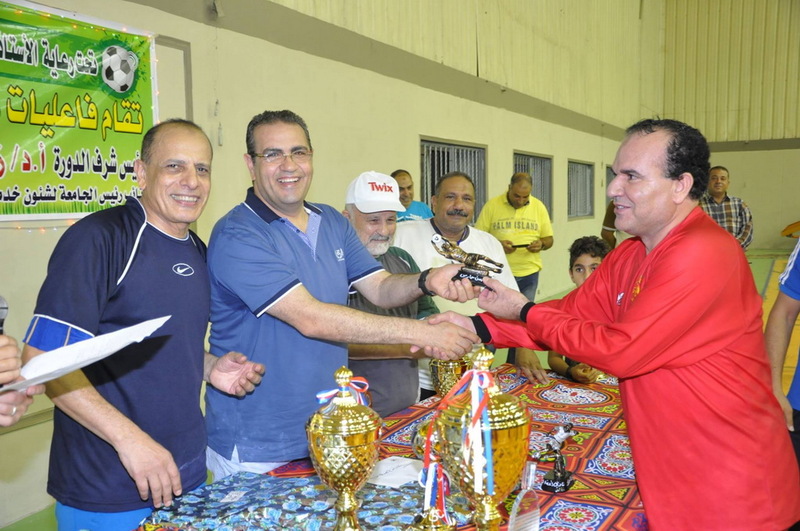 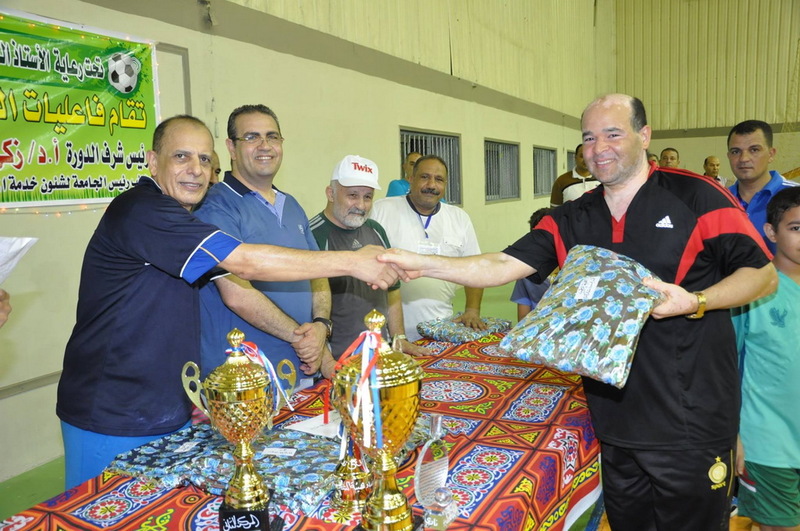 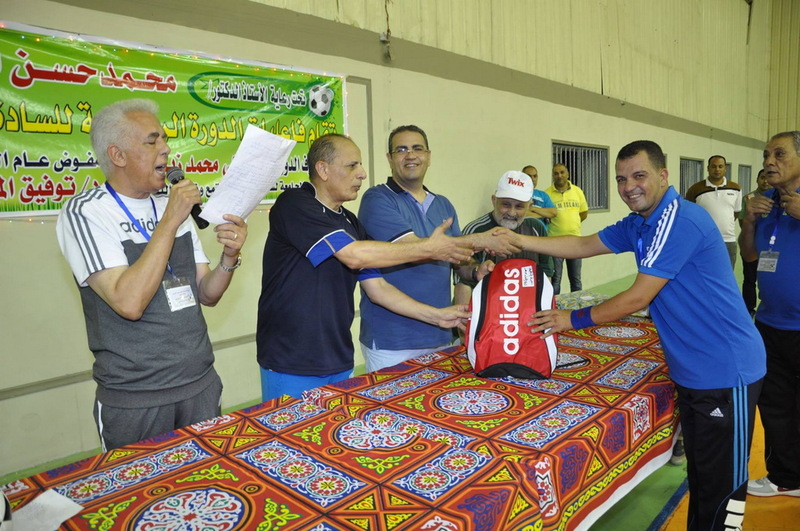 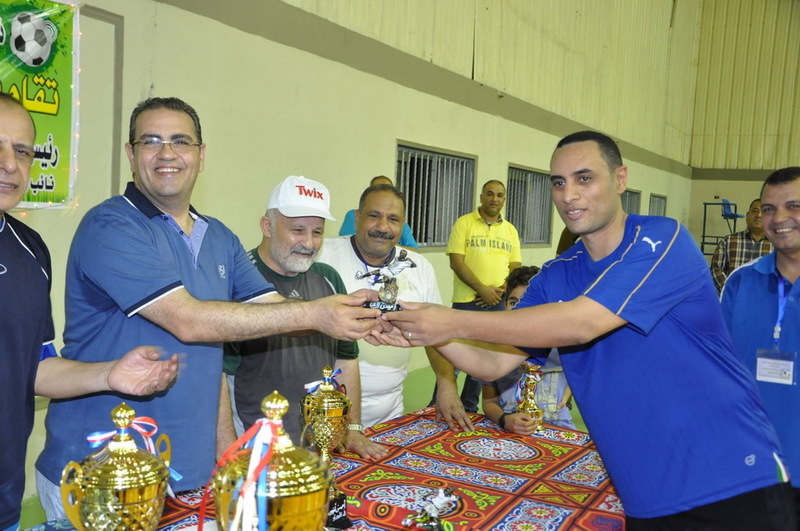 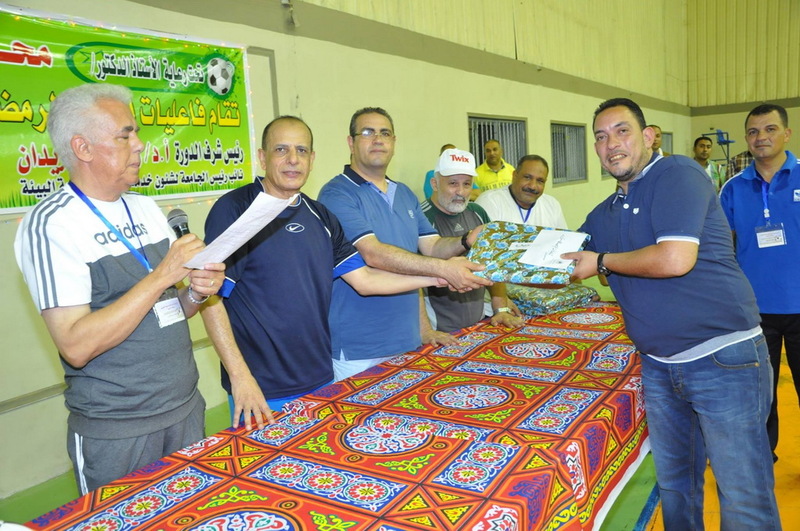 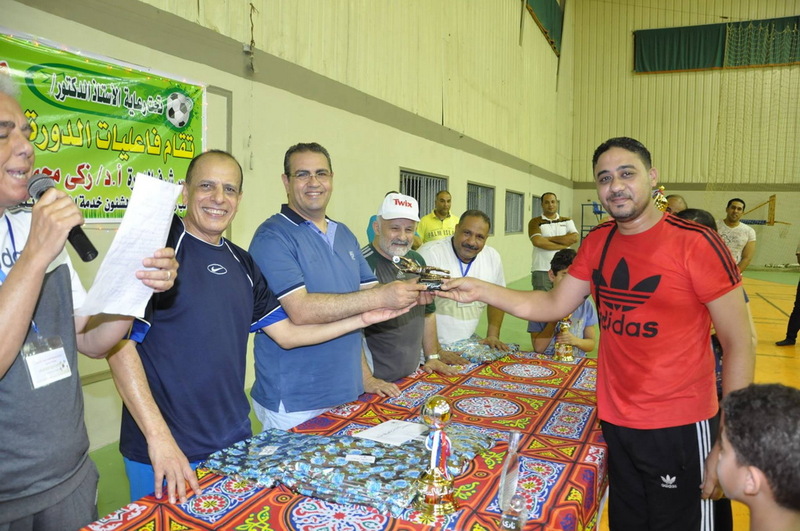 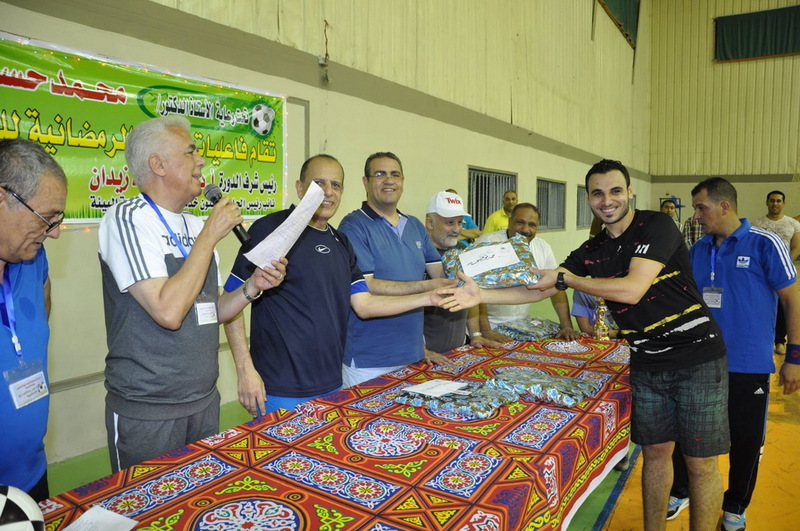 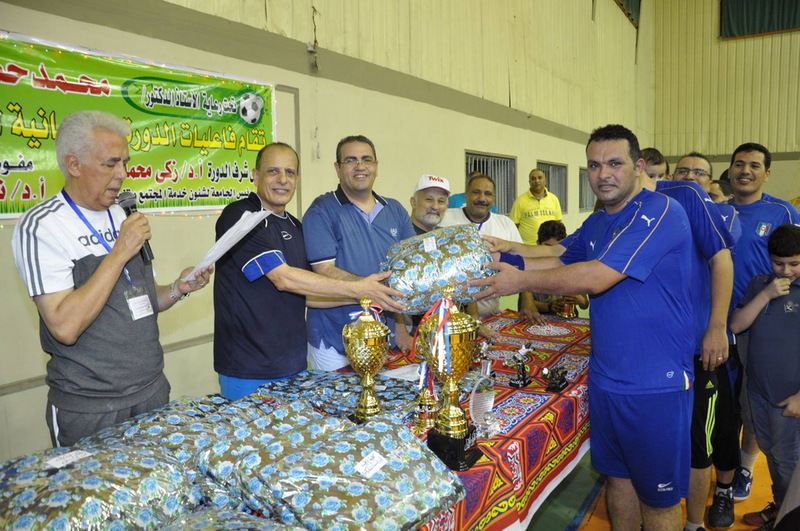 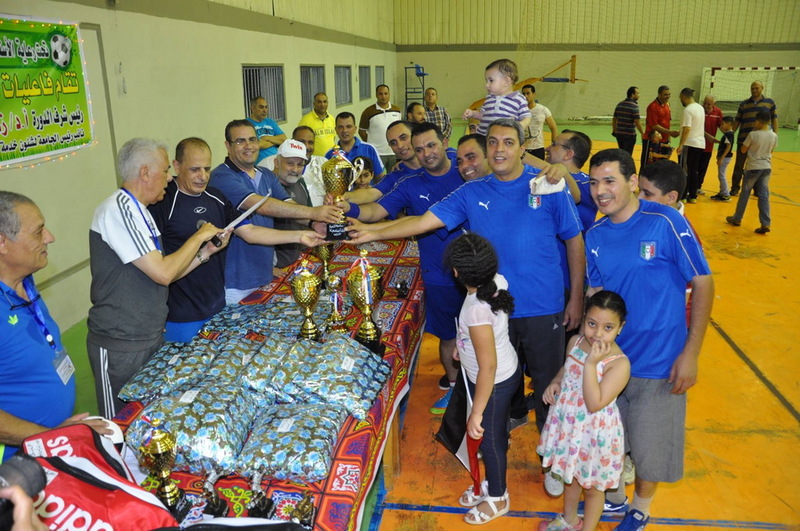 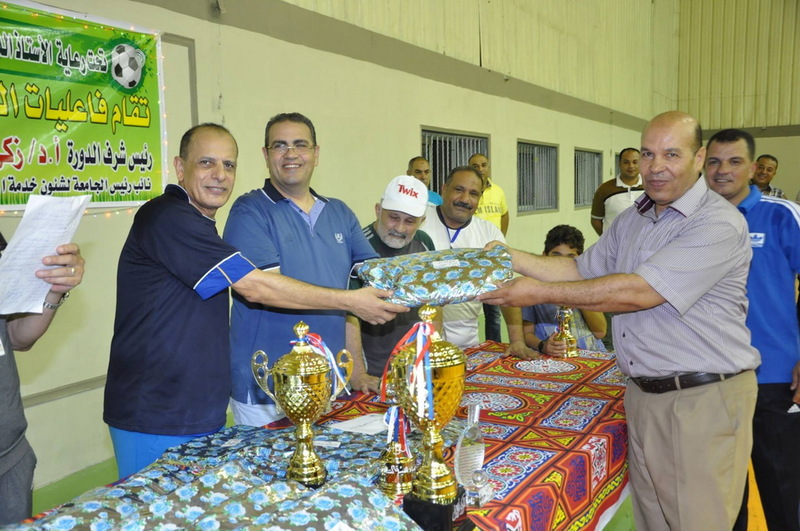 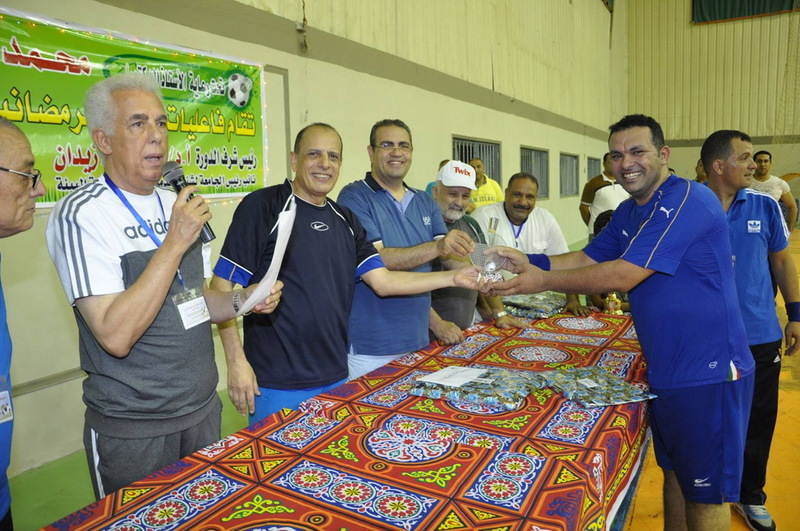 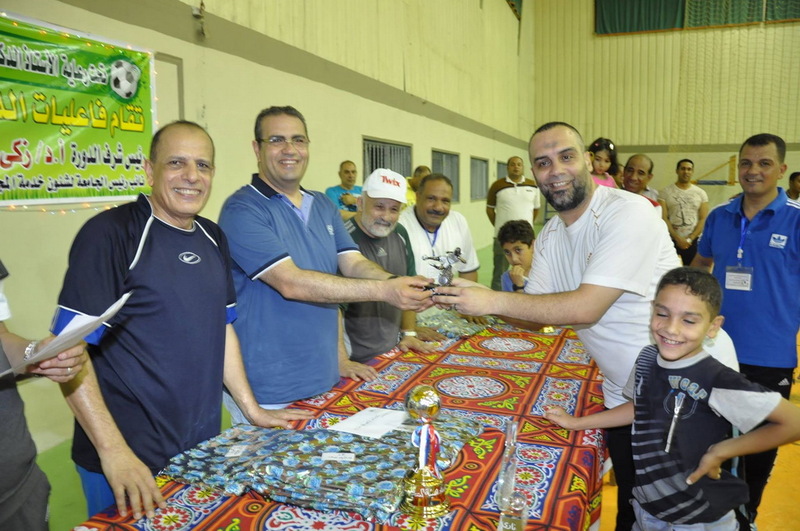 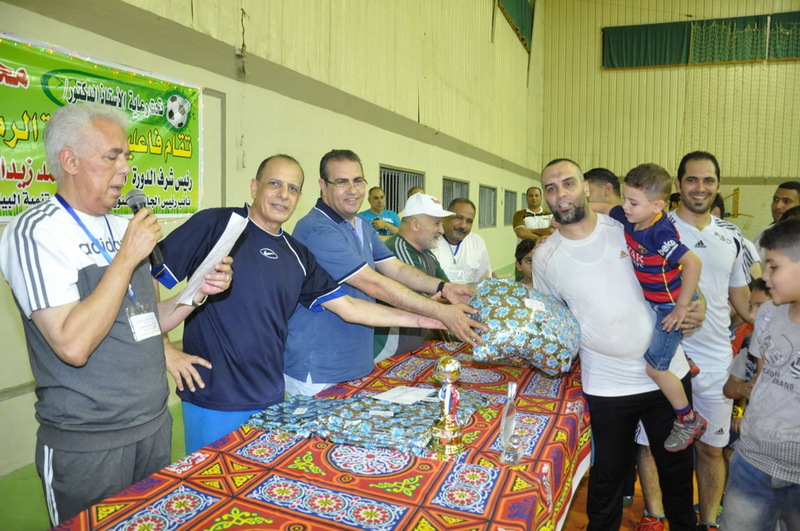 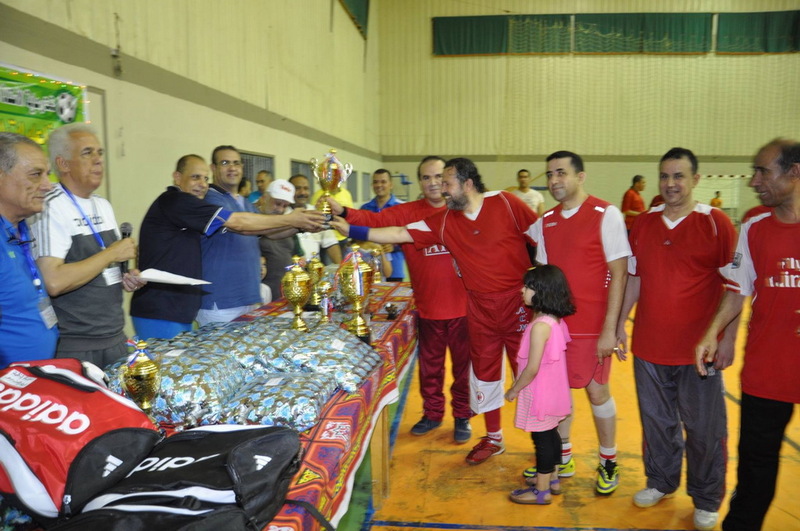 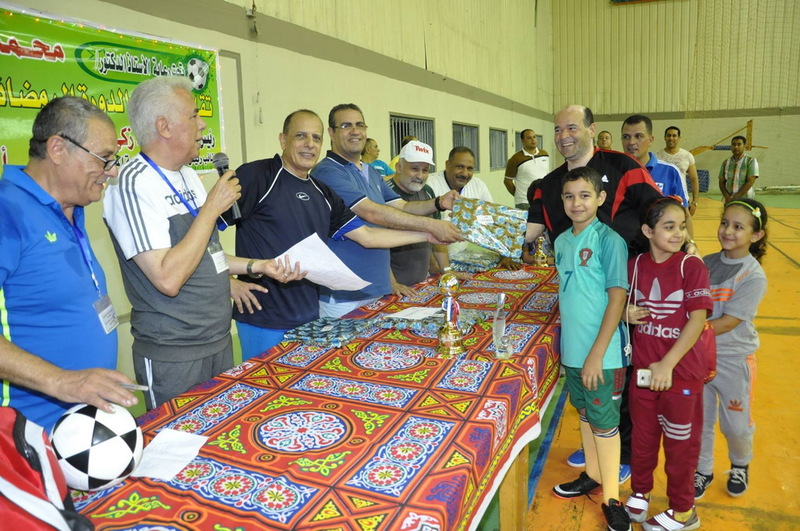 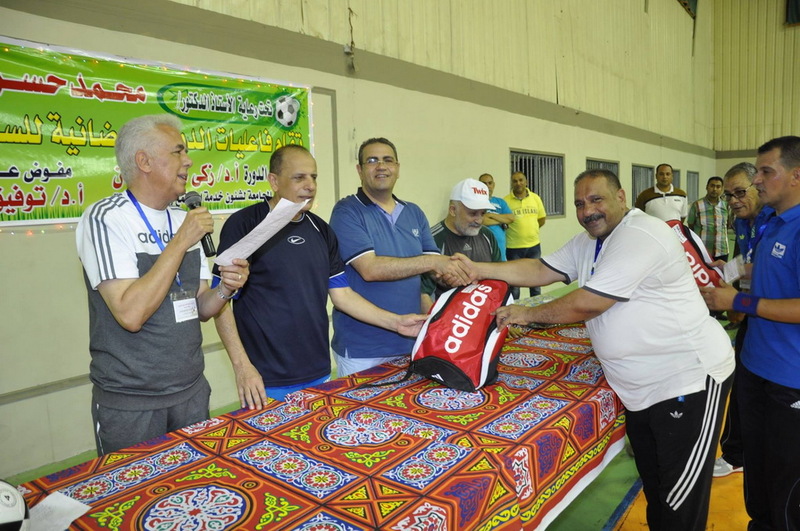 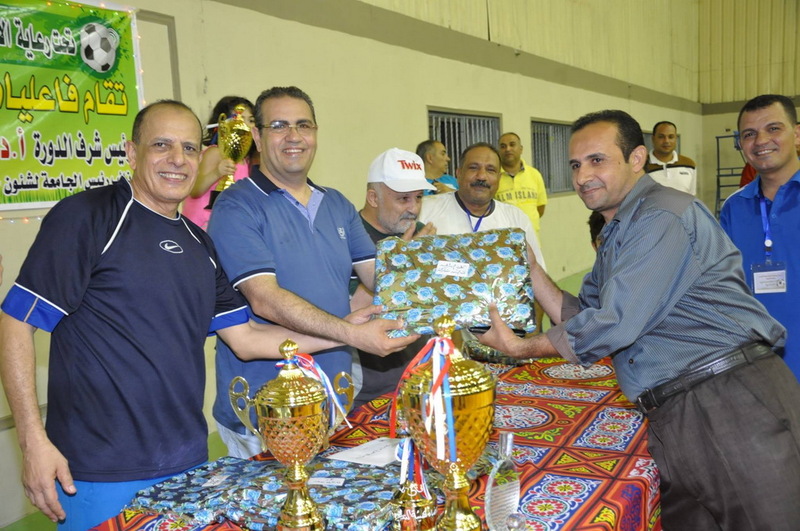 At the end of the tournament, the University President, and the Vice-President offered cups and presents to the winning teams and the participants.